Our Kalamazoo, MI cosmetic dentist may recommend porcelain veneers to cover teeth that are slightly chipped, cracked, discolored, or have other minor imperfections. Take care of your porcelain veneers like you do the rest of your smile. The American Dental Association recommends you brush your teeth twice a day for two minutes at a time. Our Kalamazoo, MI veneers dentist also recommends you floss once daily to remove plaque hiding in between teeth. Porcelain veneers can last years with proper care. Our cosmetic dentist offers porcelain veneers and other dental procedures to help you achieve your best smile. 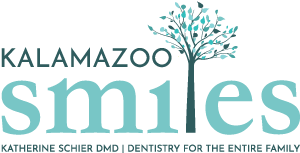 To request an appointment with our Kalamazoo, MI veneers dentist, call Kalamazoo Smiles at (269) 353-3700.